This place is so foreign and new. Suffocates you with fresh perspective. This time is the final time. In love with a kindred spirit. Time is money, they say. That one who left you breathless. Was as hollow as it sounded. Little man, where are you? Tell me not to stress and sorrow. And I am there again. And I am back here. During my vacation with my family in Hong Kong I stumbled across an amazing bookstore known as Kubrick Bookstore, located in Yau Ma Tei. It wasn’t particularly huge but the selection was impressive and incredibly engrossing. They had a surprising amount of English books and the selection was up my alley (tons of plays, philosophy and contemporary fiction). 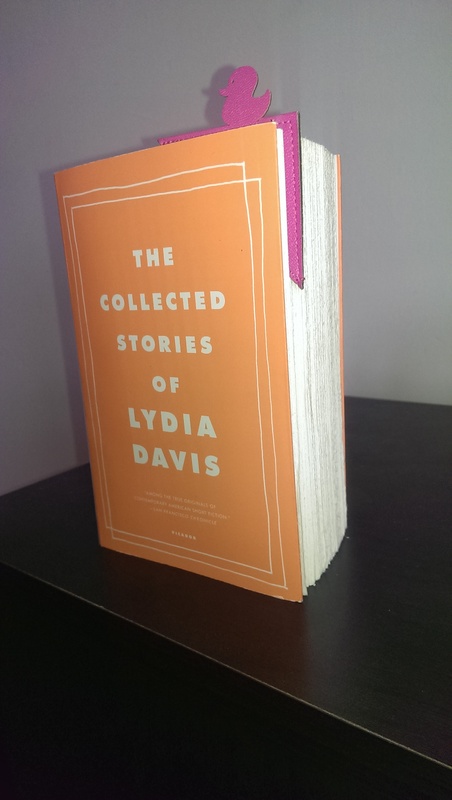 During my scoping out of the place I stumbled across The Collected Stories of Lydia Davis who I had heard about here and there and seen elsewhere. You see, Lydia Davis’ writing belongs to a literary style known as flash fiction. That is, short stories with an emphasis on short. There is apparently no specific length to determine flash fiction by, but generally no more than 1000 seems to be the rule of thumb. So I ended up purchasing the book (because I have no willpower once something catches my eye), read some of it on the flight back, but haven’t picked it up since. This morning, however, I started re-reading it from the beginning. I’ve decided a good way to pace myself with the book is to do a short story a day and turn it into a project in which I will write a response to each story in verse. And so there we have it: The Lydia Davis Project begins.